This way ane find when when playing GTA V on PS3, to earn big money in order to buy property, a car, etc. it is very difficult. While there Heist mission once we still have not been able to get enough money to buy all the properties in GTA V. When ane was nyari2 cheat money (at that time there was any cheat ngarep kaga) to buy cars sold in the online store HPnya si michael. But apparently it did not have in GTA V cheat money. But we can get a large amount of money in this game through small events scattered in along the main mission. Although Heist provide results that are huge, nonetheless the result was just enough to buy a small part of existing properties. Therefore, we will use a small alternative that the stock market is in GTA V.
2. To use this method you do not play a small mission (strage & freaks) given by lester. strage and freaks mission given lester is telling us assassination mission to kill a number of important people (Except mission assassination hotel that is the game where franklin further given a home by lester). unless it evnt immediately appear rich red or blue dot the map, you can play the mission. 3. Getting the Crew Gunman, Patrick Mcreary before the mission’s first heist, and getting Crew Driver Taliana Mr. Martinez after mission Philips (which we use for the first time Trevor. 1. Packie McReary, franklin house was located near the first, the details in strawberries building phills dollars (make sure you bring a car with four seats for the mission. Coming to this event random range franklin first mission (who stole a car) until his last mission before the planned heist made . (the word michael ordered to come to a fabric mill in lester ama la mesa). this event will not go there again if you fail or ignore the event. 2. Taliana Martinez, location details in Braddock Pass (he again fell abis collisions. ), That the opportunity for the emergence of exit, use trevor character. Coming from the random event after the first mission Trevor finished up to the second heist mission. The same if you skip / ignore this event, you will fail, and the event will no longer appear. To get the perfect Heist results using this plan. before selecting the first mission crew setting, you try to finish the mission freind request in advance (mission nyembunyiin bomb hp), and wait until there is an unknown number calling and mention his name Rickie. – Take the diamond sebanyak2 and also fast before the alarm sounds (here you also have to mengandal skill in taking the diamond quickly, you will have completed the mission optional quick grab). NB: so easy to get “quick grab” serlalu look toward the radar when it would break the diamond storefront, this allows you to see where the diamonds are to be retrieved. The best mobile game available on the market focuses on strategical player versus player combat where resources are finite, and you are required to raid other player’s bases called “village’s”. You are also required to build an army of your own troops with which you can raid other people’s. You might ask what do you gain from raiding other players? Every time you raid someone and win you loot their base for the resources, but beware other people want to do it the same thing to you – there is literally no single player unless you buy thing called shield which gives you. well shield and immune to other player’s attacks. The game is free of charge, but as it always is it comes with a price, everytime you build something you have to wait certain time. On higher levels when you upgrade let’s say for example your base you sometimes have to wait even 7 days for base to finish building. But with the in-game purchases you are able to buy thing’s called “Gems”. With these gems you are able to speed things up – it means you would be able to finish your base not in 7 days but in 5 seconds – of course the more you have to wait the more you would have to pay in gems currency. 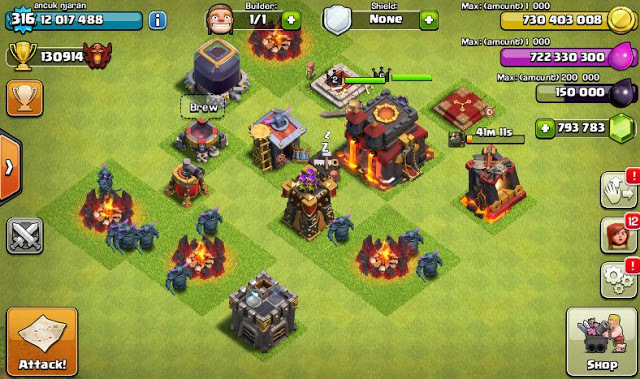 The game starts real slow for you, you won’t even get a chance at building big army simply because you lack required buildings, but as the time goes and you upgrade your base, you get more buildings and things start catching up until you come to certain level where you will simply be stuck in place cause of players raiding your base. There are few solutions to that, at certain level players tends to use same strategy over and over again, you have two options either upgrade your walls which you won’t have money for it – that’s why you need coc gems or simply change the layout defense of your base – it will help of course if you have upgraded defenses such as turrets, but I guarantee you – you won’t have money to do so. What makes this game so popular that there are 40mln players playing it every month? I think it’s that game competitiveness and it’s so easy to get addicted to it. If you don’t want to wait for everything to finish building, or you want resources, or even if you don’t have the money to purchase the gems directly from the store you have only one solution … and that is our gems generator. You might ask how is this tool gon na help me? Well. it will help you a lot – with it you are able to generate unlimited amount of coc resources along with the most expensive of its currency … the gems! Yes you read it right, you can generate gems directly for your village on our site, and most importantly it is safe for your village. Let me explain you a few things. Once you use our hack tool and generate yourself any amount of gems or gold or elixir doesn’t matter – the resources will be then stored on our server side behind our secure line and what we do is simply put them to your village through various algorithms. Why you should use it? Because it will save you weeks of building even months! And most importantly you are able to get standard resources with it like gold or even dark elixir! But beware this doesn’t grant you any god mode or anything like that, you will still be vulnerable to other players and your village can still get destroyed like everybody’s else. 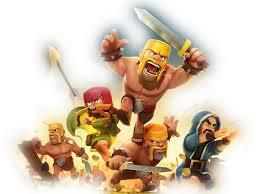 It can be harsh sometimes getting raided 10 times in a row and losing all the battles and your hard earned resources. and that’s mostly losing to people who been playing this game for longer than you and you simply don’t stand a chance. Then why bother? Get fun with our coc hack tool! Why you should get raided by stronger players when you also can become a competitive player. Most importantly our generator is for free, for now. Currently it will be testing, but in future we have plans to release it as a fully standalone program, so grab your chance for free gems and start today. It works on every possible systems, mac/pc/linux and on all mobile phones of course including android and ios. Our hack let’s you have fun. because what’s more important in game? All kind of games are about fun which is forgotten now a days. and with barricade which is gems you won’t get fun unless you buy it or generate it yourself. If you are asking yourself how we made it? Well we can’t really tell you how, but what we can say is we are constantly finding a hole in supercell (creators of the game) servers and exploit it ourself. We hope you will like it and any suggestions are welcome, keep in mind you can get unlimited amount of gems with our tool totally for free everyday until we make pay-wall for it or remove it from the web.